﻿ SALA Samui Choengmon Beach, Koh Samui | FROM $133 - SAVE ON AGODA! 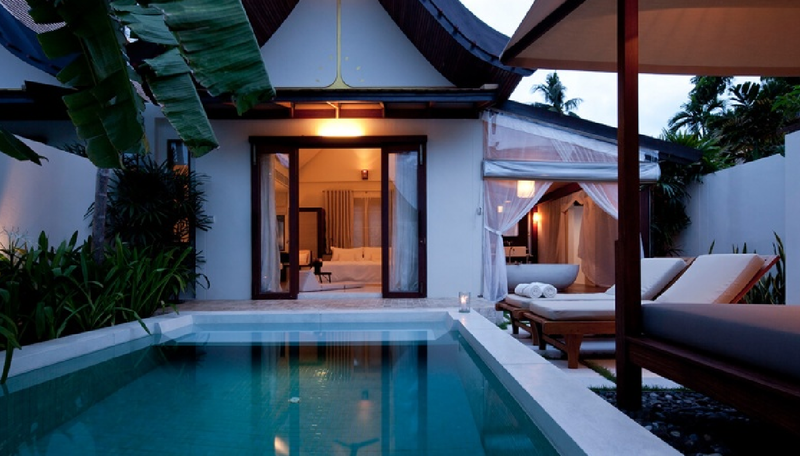 "I loved the open airiness of the layout, private pool with a..."
Have a question for SALA Samui Choengmon Beach? "Rooms are clean, great location and very friendly and attentive staff." "Price is reasonable for the stay." "The meals that were prepared were awesome as well and the ro..."
An elegant resort located in Choeng Mon Beach, SALA Samui Choengmon Beach is the epitome of 5-star luxuries in a personal and private setting. SALA Samui Choengmon Beach is only 10 minutes from Samui airport, Bo Phut’s quaint Fisherman’s Village, and the shopping and nightlife areas at Chaweng Beach. The resort offers a comfortable, relaxing ambience by harmoniously blending traditional Thai architecture with modern facilities and amenities. The friendly staff is dedicated to pampering guests with professional service. With its excellent facilities and 80 meters of white, sandy beachfront along the property, the resort is ideally suitable for both families and those who seek a romantic getaway. Most accommodation offers a private swimming pool and charming open-air bathrooms with an open-shower or tub set in lush gardens. The villas and suites offer all the luxuries guests expect, including SALA Signature Services, an award-winning spa, and expansive fitness center. With great hospitality and state-of-the-art facilities, SALA Samui Choengmon Beach is the true definition of personal relaxation. "Definitely the best resort in Koh Samui." Children 4-11 years old will be charged THB 575 per child per night with extra bedding and breakfast provided. Children 4–11 years old will be charged THB 575 for a meal per child per meal. Breakfast is provided in different quantity according to different room types. Please refer to the individual room descriptions or contact the property for more information. Extra bed rate includes breakfast. I'd highly recommend this hotel if you want total relaxation and privacy, with a great beach that is less crowded. The meals that were prepared were awesome as well and the rooms were well upkept. The only downside was it was abit away from other attractions and therefore we had to rely on the hotel transport services, which I would say, for a premium hotel, they should charge a little less for the transportation, its no trouble to get public transport if you choose to. besides that, from the hotel to the staff and the food, everything is fantastic! This is the second time I’m in SALA samui. And it’s so good. By far this is the one of the best resorts I ever been! The room is amazing, the bathroom and the shower is in open air! Amazing!!! Staff helpful. Pool is nice. Overall very recommend!! We started our honeymoon by 2 nights there. Thé staff was very welcoming and our room with private pool absolutely amazing! The outdoor bathroom as well! The food was very good (breakfast and lunch ). Close to the airport. massages on the beach. we will return for sure! This places is secluded from the noise and crowd and is a perfect destination for someone who wishes to have a quiet family/couple time in Samui. The Chaweng beach is not far away (15 min drive) and can be reached easily. Late night travel is also safe to this area. The staff is amazing and keeps good care of the guest. They also make sure that the privacy of the guests is not disturbed. I highly recommend this resort. Definitely the best resort in Koh Samui. Everything in this place is just fine. From the professional staff, best facilities and the best food you can get ever, managed by a great chef from U.K Super value for money. This is my place in Koh Samui!. 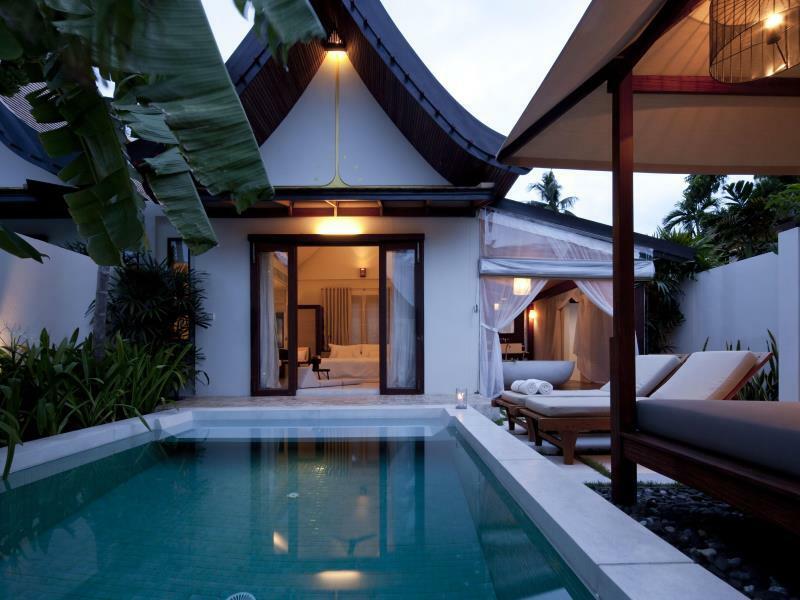 Having stayed at SALA Phuket, we were hoping it lived up to the SALA experience. While the hotel is very nice, the room we stayed in felt a little out dated. We were told that this was the very first SALA hotel chain to open and that Phuket was the 2nd or 3rd, to which mistakes had be rectified within the Phuket branch. The beach is great, the pools are really nice,m and the breakfast was probably the highlight of our stay. Wide verity of food and drink along with an ala cart menu to choose food from. The spa was definitely a let down once again compared to SALA Phuket. My wife has complained about the staff at the spa reception not being welcoming enough, not being attentive to her queries about the spa menu and some how being aggressive. The massage itself was average. With all that said, we would like to send a special thanks to Oom and Amanda for making our breakfast mornings enjoyable and memorable. We would also love to thank the head chef for the wonderful food and also his attentiveness to the food being served both from the kitchen and the open buffet. First stay in SALA Samui for the purpose of attending friend’s wedding and secret propose arrangement for my own. Excellent resort for couples n family, fair price with the most private swimming pool, comparing to Conxxx Samui. Will give 10/10 for the staffs always with smile on the face anytime. Special thanks to staff YAM for the propose arrangement, thank you YAM n SALA Samui that she said YES. Absolutely beautiful place, stunning resort and amazing staff. We even got food poisoning from another location and even after that it was still our favourite out of the 6 resorts we stayed at. Couldn’t fault it. Except that there is no shuttle to town and annoying taxi drivers out the front. The most appreciated place for our trip. Me and my bf stayed here for 3 nights and it was the highlight of our trip, exceeded our expectations. I also want to say a special thank you to housekeeper Joy who found my bracelet. I can not be more thankful for her professionalism and kindness. Food is amazing at reasonable price. Beach bar is good. Very attentive staffs. Extremely clean rooms. Everything is just perfect. We loved paddling and kayak at the peaceful ocean. Will come back very soon. Choengmon beach is a relatively nice and quiet area of Samui, not far from the airport or local attractions like the Big Budda. We had a garden pool villa and a 2BR pool villa, both were comfortable. Beach access was nice. Staff were helpful. Food quality was good. Overall, this is a charming and comfortable place to stay for a few days. There are restaurants nearby that provide good-quality and reasonably priced Thai food, like The Mother and The Orchid. A day tour to Ang Thong National Marine Park is very nice and can be arranged by the hotel. I'm a frequent traveler and don't write reviews very often. But wanted to take a minute to say what a beautiful place Sala is and what a nice time I had. I loved the open airiness of the layout, private pool with a little bed/porch besid and, semi-outdoor bathroom. The pool was always clean and the staff was very friendly and helpful. The beach location is very nice and it's not far from the airport. The restaurant is very nice and the atmosphere is lovely. I look forward to my next visit. Very happy there. Staff are so friendly, food and service is of a high standard for all meals, breakfast, lunch and dinner...on the beach, which was very romantic with the waves gently lapping near us. We didn't want to leave. We stayed at Sala for the xmas weekend, in the sala pool villa. The resort is fantastic, excellent breakfast, great service and near to a quiet beach. Great anyone who wants to be pampered in absolute relaxation. Nice villa, although not very big. Mostly glass and concrete, no gardens whatsoever. Good breakfast, a lot of options for dinner around the hotel. Good private beach but water sometimes murky and unclean. 1. I had the very great breakfast every morning, there is many choice and all food are yummy! If you are a vegetarian, it is easy to find what you need too! I love Thailand and I love Samui because of this hotel. 2. It give you the grateful vacation, if you stay in hotel, you don't really want to go downtown. 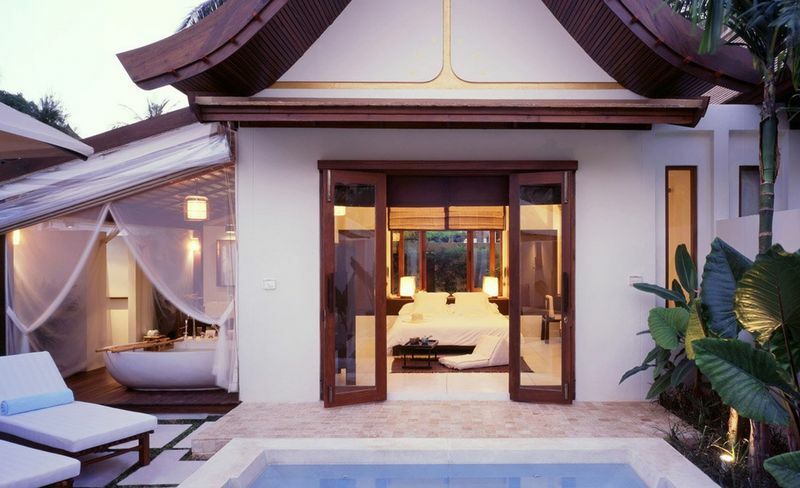 SALA Pool Villa can provide a private environment for couples, who said infinity pool is a must? 3. All staff are very nice, and they will say Hello to you when pass by, specially thanks to staff DAND. She responded to "take care" of our room every night, I found that she is extremely nice and friendly. Wish will meet her again when I stay next time! have a great holiday wt my husband and another couple, the sala is amazing, room is great, staffs is great, spa is great, everything is great. 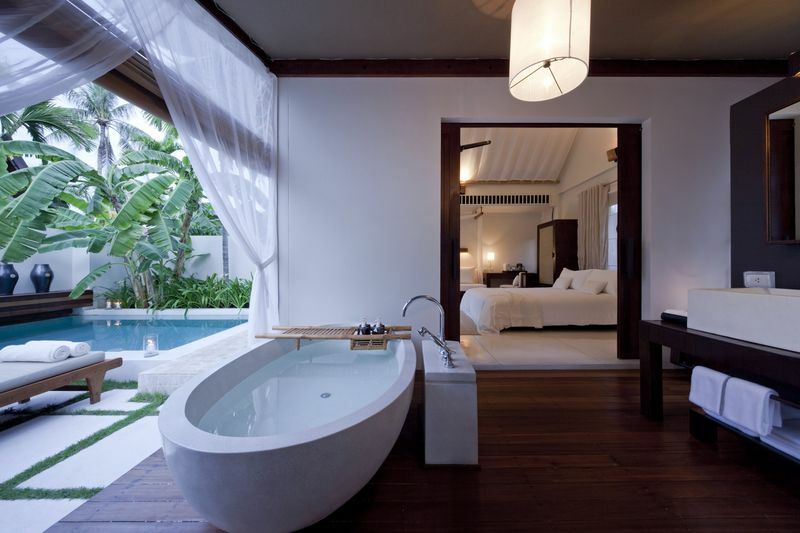 if i go to koh samui again, of course i will choose the sala again. Very relaxed nice place. Even gave a birthday cake and sang happy birthday to my partner even though we didn't say anything. The staff would have picked this up from check in. Really nice place that makes you feel very special. Beautiful grounds and gardens. Felt spoiled and satisfied when I stayed in Sala. The staff are so nice, they would say hi to you when they met you. And the spa was so relaxing just a little bit expensive. No matter what, I spend a very chillaxing and happy holiday in Sala.